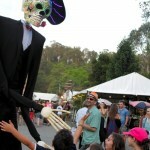 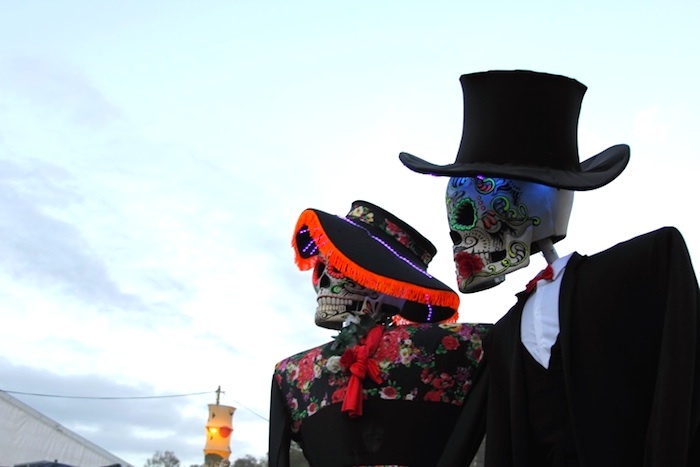 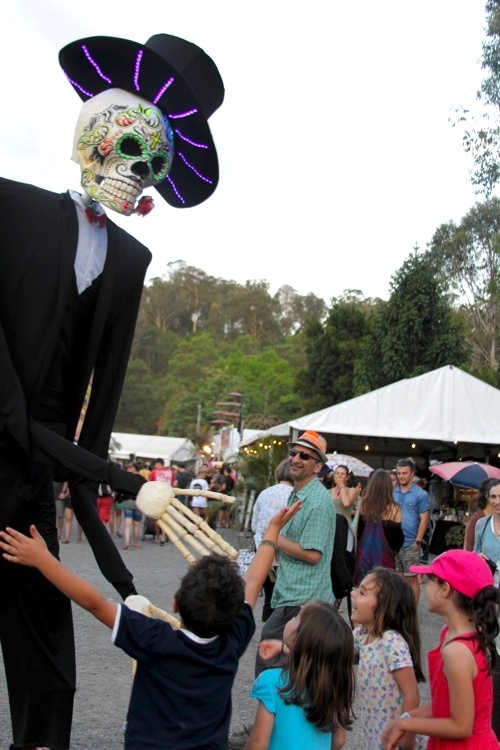 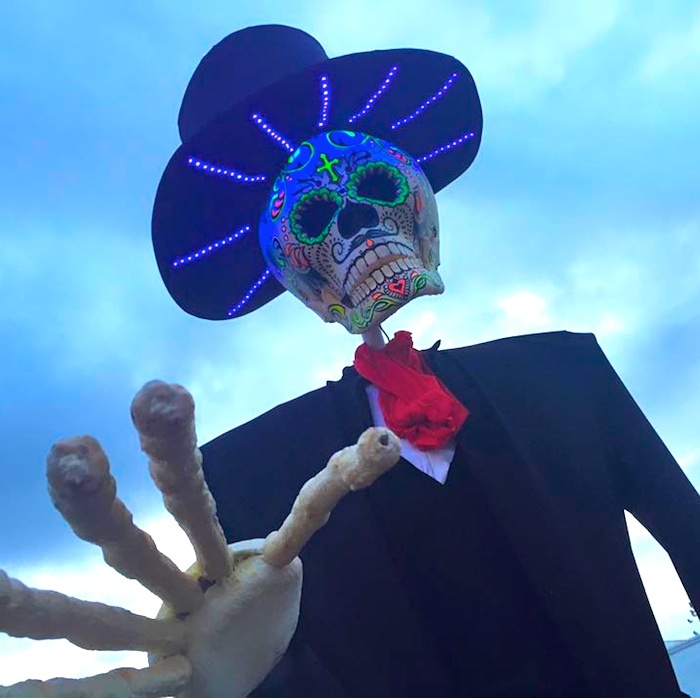 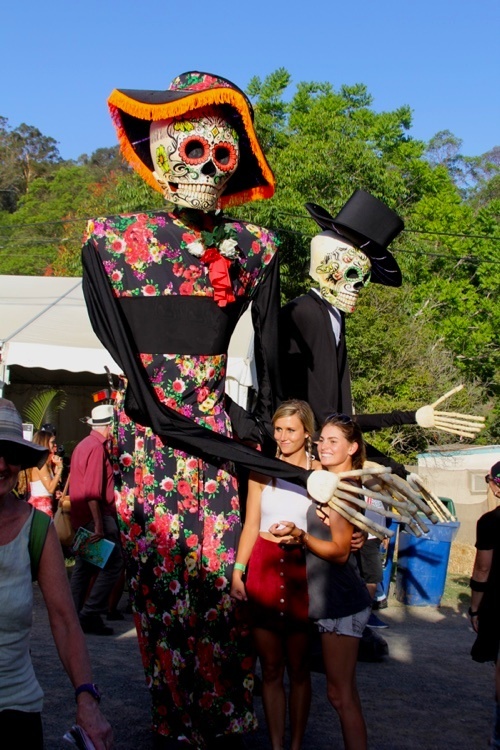 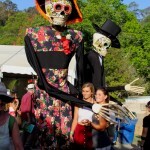 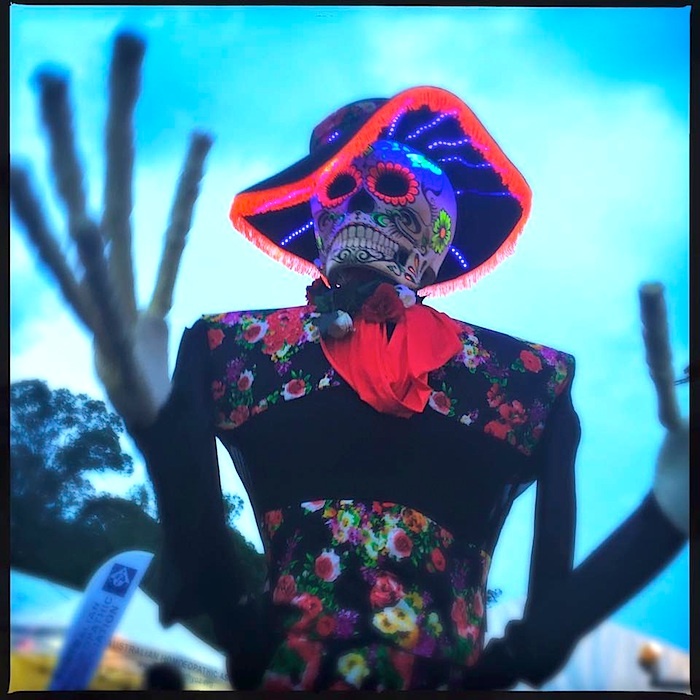 Giant Day of the Dead Puppets - ""
Stunning Giant Day of the Dead Puppets from Sydney. The are new and stand 3.5-4metres tall as well as being beautifully lit! 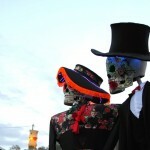 They are stunning, spectacular and unique; a great evening act. 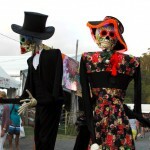 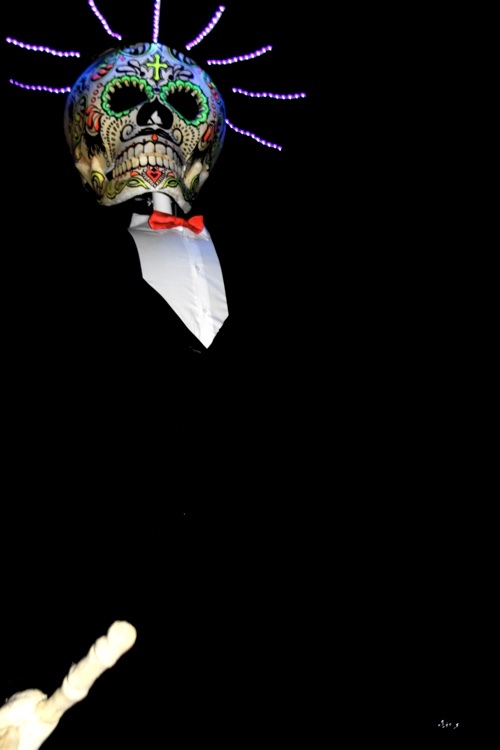 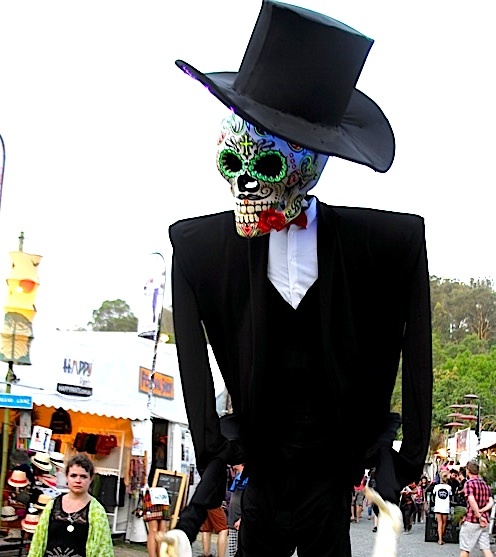 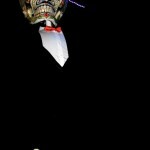 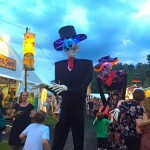 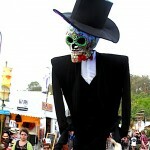 The Day of the Dead Puppets can rove for 2 x 40mins in a 2 hr call and require 1 crew person in addition to 2 performers. 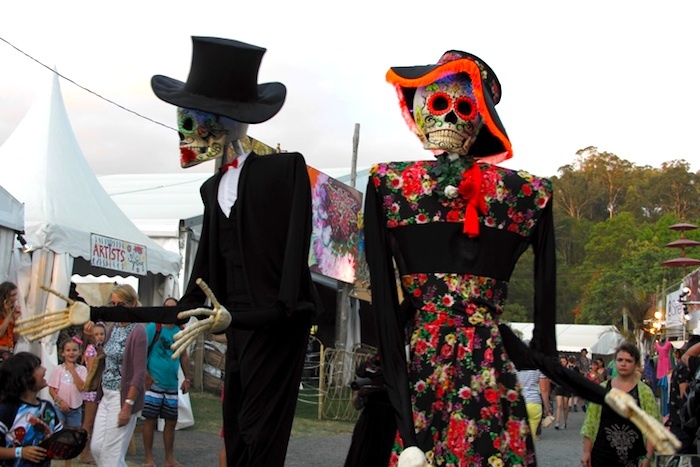 The act even travels with it’s own music adding a fantastic atmosphere! 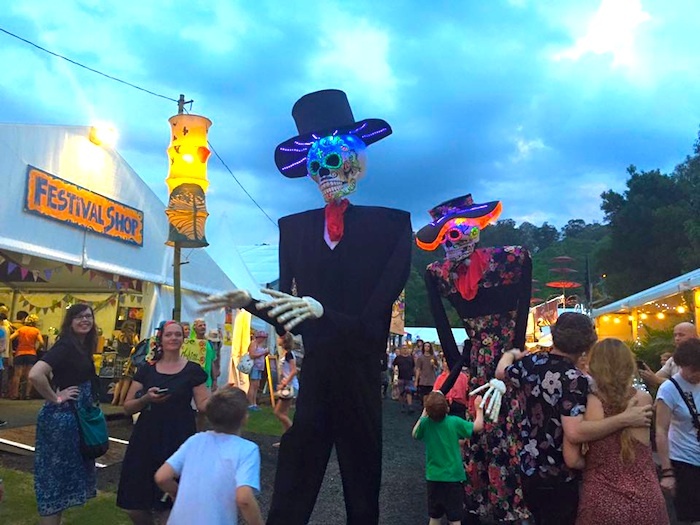 hi I am currently looking to book acts for our 2017 show the 2nd weekend in February, how do you provide entertainment over a day and a half and what would be the costs?